Despite the fact that they’re only starting to gain steam now, home automation systems have been around for decades. 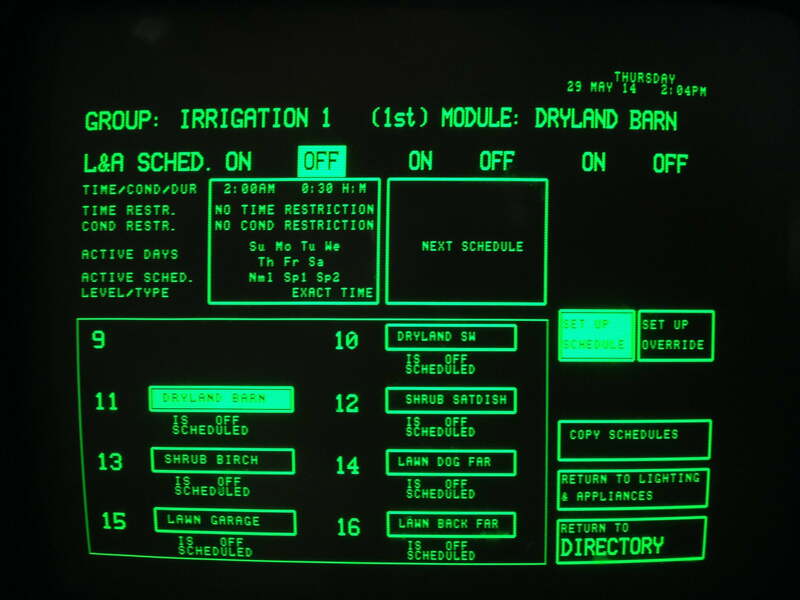 Sure, they weren’t as sleek, intuitive, and easy to install as they are now, but you’d be surprised at how sophisticated they were back in the ’80s. Case in point: the Home Manager from now-defunct company Unity Systems. This badboy was first brought to our attention in 2014 when avboden, a Reddit user, posted images to imgur of his system. It not only controls a wide variety of different subsystems but also comes equipped with a fully functional touchscreen interface — on a CRT monitor! Earlier this month, a YouTube user, also going by the name Avboden, uploaded a video showing the same system, which was created in 1985 but installed in his home in 1990, in action. As you can see in the video, the system can control the house’s outlets and switches, security system, sprinklers, HVAC, the temperature in different zones of the house, and much more. With the ability to set different temperatures for different times of the day, it actually has similarity to a lot of today’s systems. It likely would have been much more expensive to install back then, though. And while it’s not available on a smartphone, it appears to offer lots of functionality, from setting schedules for lights to linking up different parts of the system. Plus it’s controlled by touchscreen! “It’s a pretty good UI,” says Avboden in the video. We did some digging, and it turns out that although Unity Systems closed its doors in 1999, there’s still a live support website for Home Manager up and running to serve the roughly 7,500 homeowners who have these systems installed in their houses.